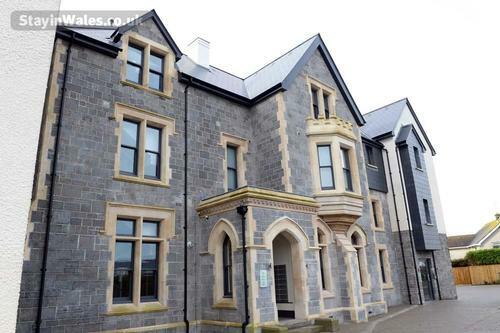 Just a two minute walk to Tenby's award winning South Beach, this contemporary ground floor apartment offers fantastic sea views. 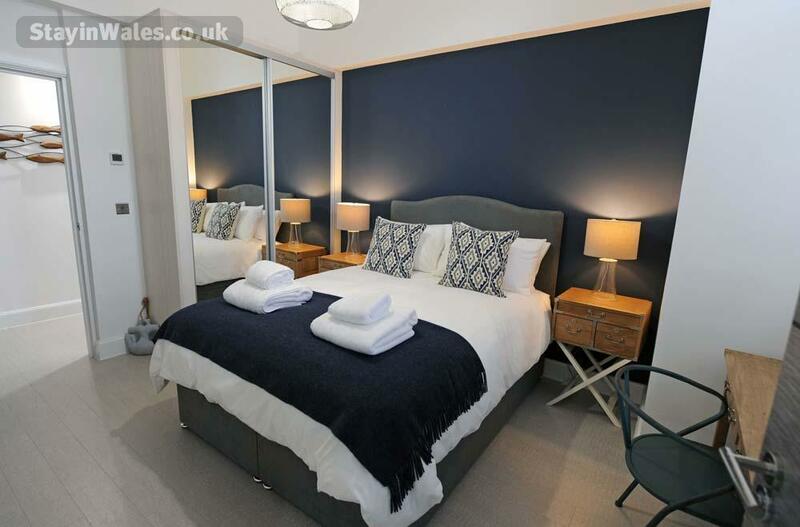 South Beach Bar and Grill is also just a two minute walk away and provides the perfect setting for a quiet drink or beachside meal. 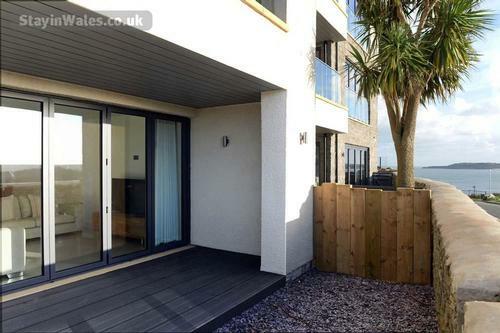 The apartment is accessed via a secure fob-accessed car park where parking for one car is provided. 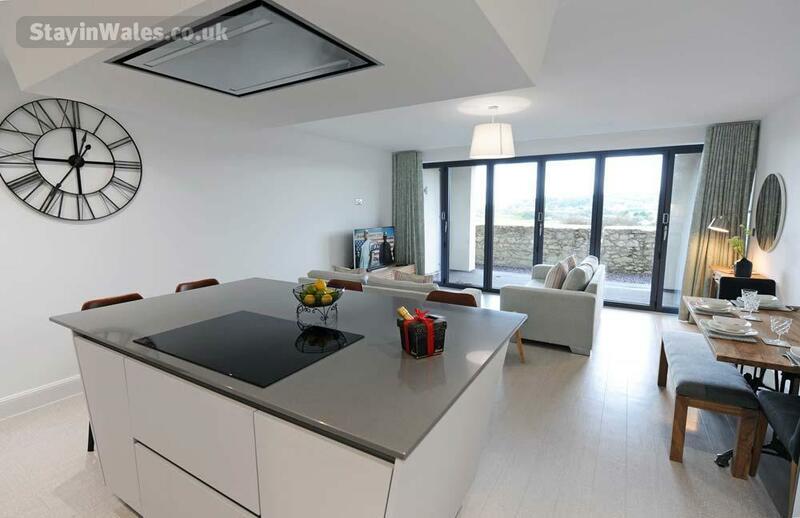 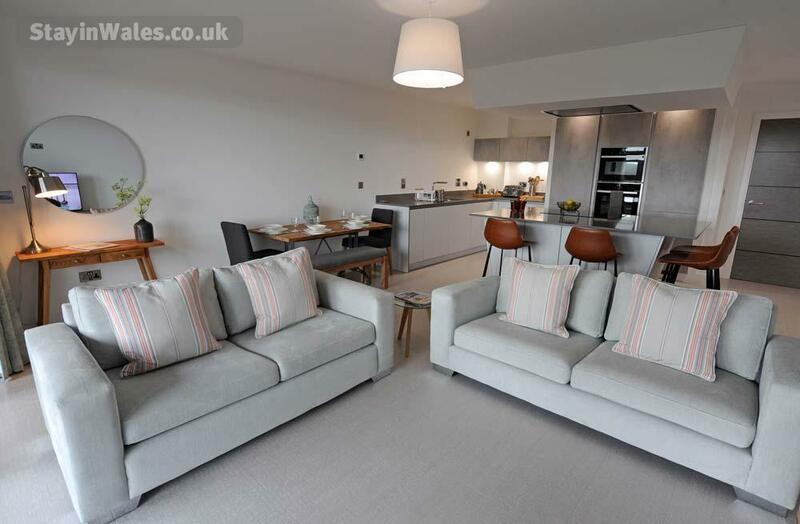 The open plan kitchen, dining and living room is the real feature of this luxury apartment, with large bi-fold doors opening out to capture the spectacular coastal and golf course views. The large central breakfast bar creates a laid back feel, with casual seating for up to four people - the ideal spot to relax with your morning coffee and paper while soaking up the calming sounds of the sea. 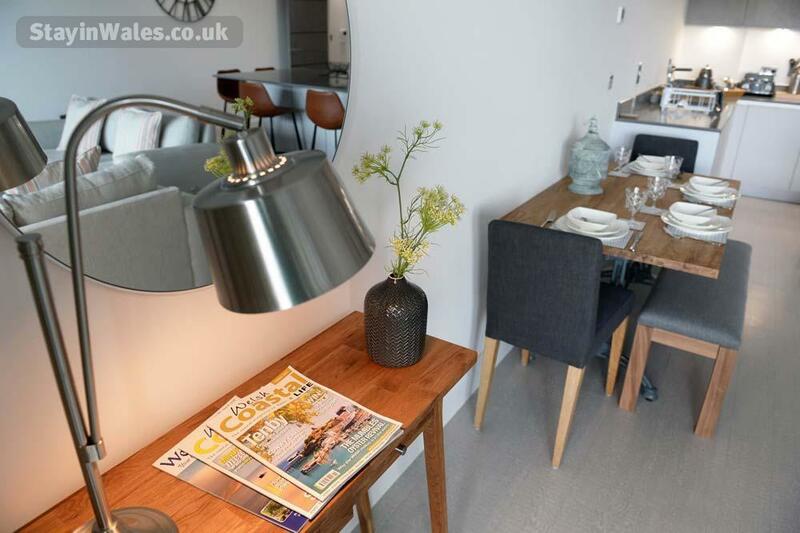 The dining table offers more formal seating for up to four people, perfect for those evening meals or take-aways. 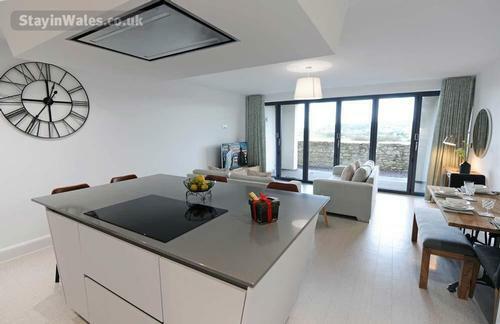 The well equipped kitchen provides everything you could need including an induction hob, fridge, freezer, washing machine and microwave. 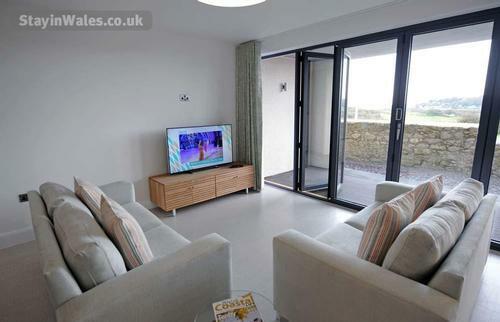 The living area features a large flat screen tv and provides a cosy setting to relax at the end of a days exploring. 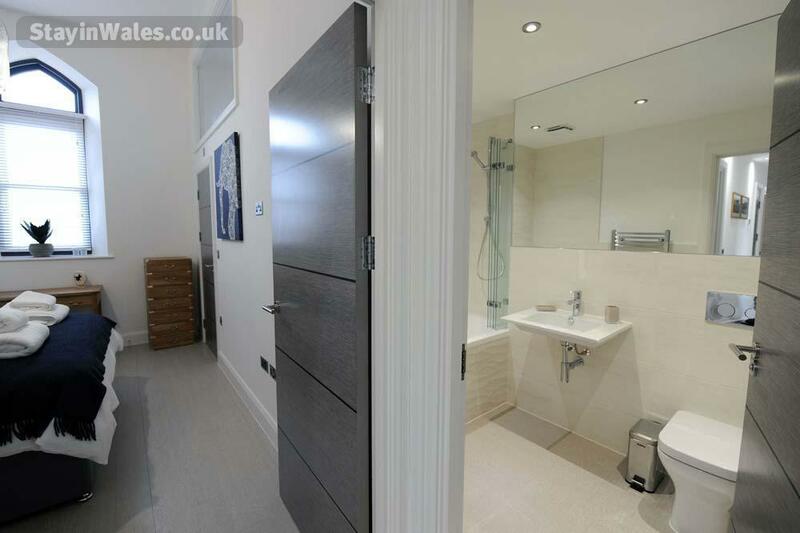 The master bedroom has an en-suite shower room with large enclosed shower, toilet and wash basin. 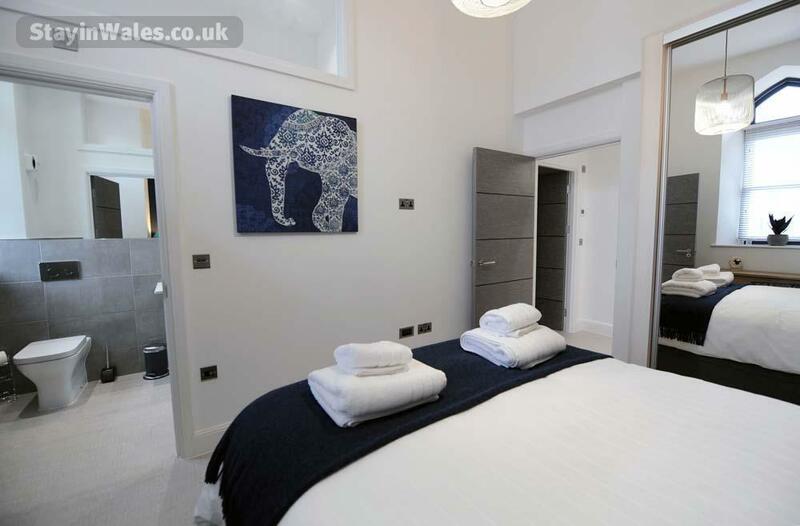 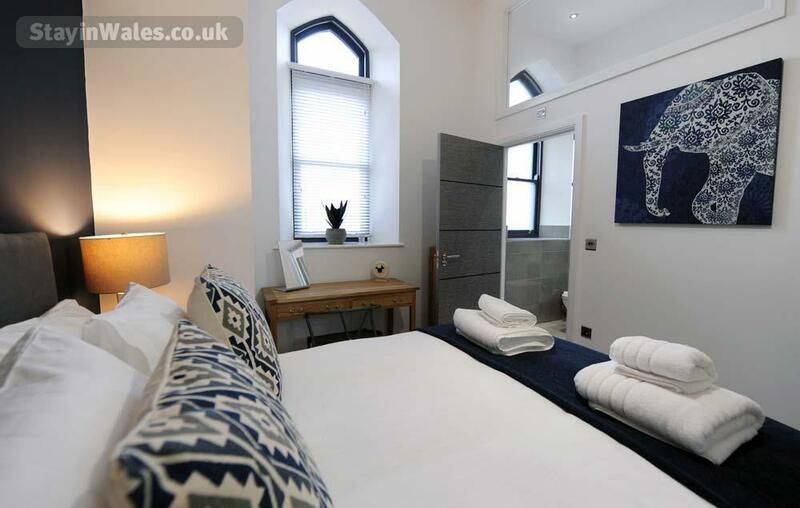 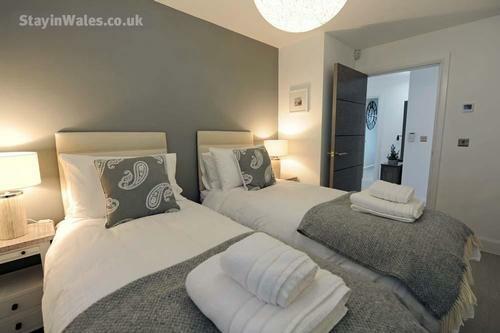 Bedroom two has twin beds, and both bedrooms have built in wardrobes providing ample storage facilities. 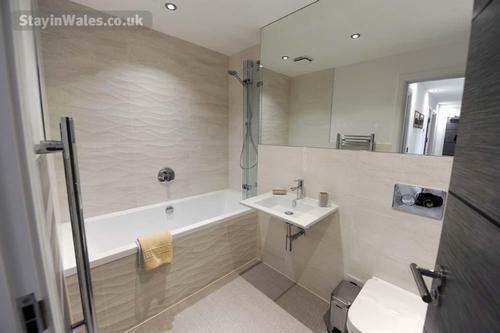 The family bathroom has a luxury bath suite consisting of bath with shower over, toilet and wash basin. 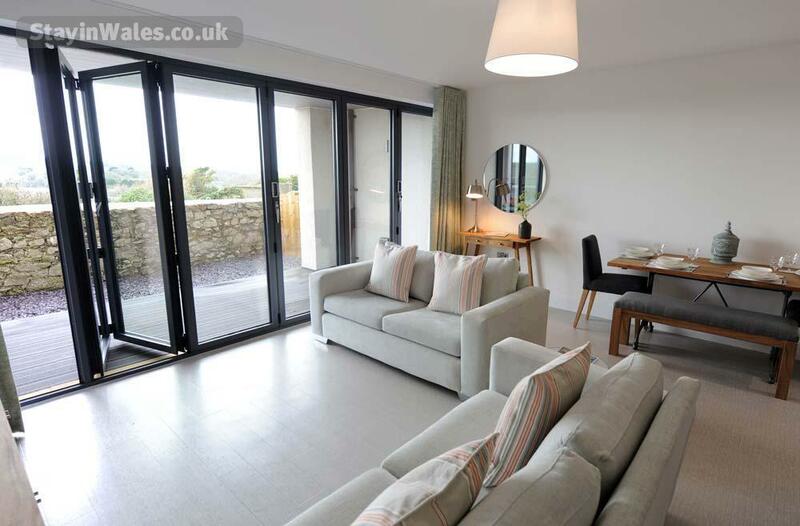 Outside, the decked terrace offers garden furniture to seat up to four people and views over the bay toward Caldey Island make this the perfect space to enjoy some al fresco dining or a glass of wine. 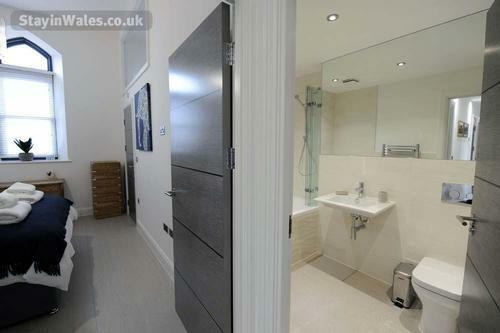 This apartment has wifi and central heating throughout. 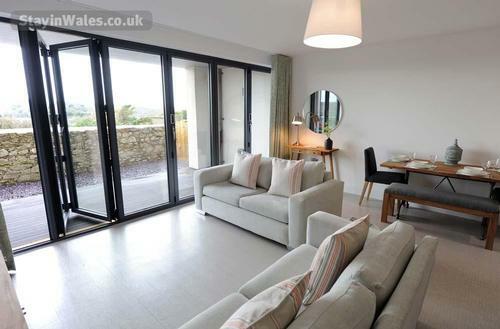 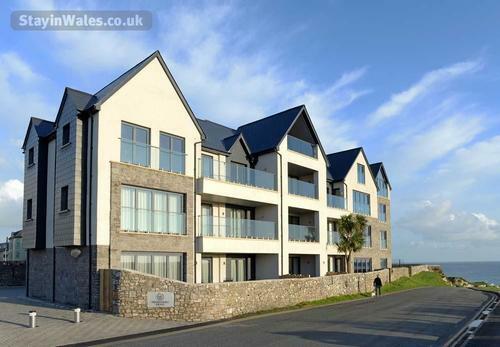 Waterstone House are luxury apartments in arguably the best location Tenby has to offer, with fabulous views over the South Beach and toward Caldey Island. 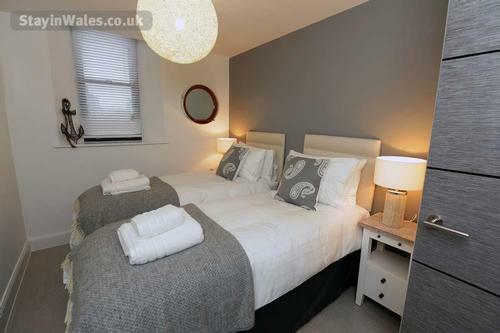 It's just a few minutes walk from the many bars, pubs, shops and restaurants in Tenby Town centre.